The Five Peaks 2018 event has now completed. For information on the 2019 event, click here. 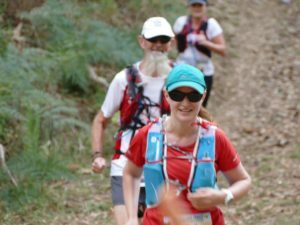 15 New to Trail Running SA? We’ve taken some of Adelaide’s most loved trails and linked them together to create an event like no other. In typical Trail Running SA style, we’ve taken the obvious option then mixed it up to create a range of options to suit everyone from those new to trails to seasoned trail running veterans. 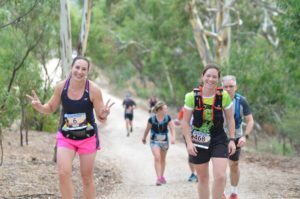 Centered on the Yurrebilla trail, with some spectacular diversions including the iconic Mt Lofty, you’ll traverse the Mt Lofty Ranges and cross through no fewer than eight parks in the long course, and get a taste of all this in the medium and short courses as well. 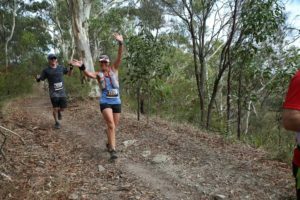 This well supported event includes something for everyone with three distances featuring a mix of wide open fire trails, technical single track, native bush and stunning views. You can expect all the usual features of a TRSA event: a friendly and relaxed atmosphere encouraging people of all abilities to get out on the trails, great support and organisation, and a party at the end to rival that of Kuitpo 2017. So choose your challenge and come and join us for a fantastic day out on the trails. If you’re interested in helping out on the day, or perhaps you have a family member or friend who might like to volunteer, click here. Medals for all runners in the ultra distance 58 km course. Plenty of water stations for beginners. In keeping with TRSA’s no-cup policy, please bring your own hydration options to top up on course. Great atmosphere at the finish line. Trail Running SA members will be eligible for the following random draw prizes. Joining Trail Running SA is easy and costs only $10. Click here for more info. We’ll have three rolling random draw at Belair – 3pm, 4pm and 5pm. We’ll also be holding a specific volunteer random prize draw. 3 x free entries to the Mt Misery event. Some of the key event volunteers are listed below. We also rely on a volunteer committee of 15 members and countless volunteers on the day to put on each event – all hands on deck! Thanks! There is a minimum age of 15 for the 22 km and 58 km events. 58 km runners will need to nominate a wave. The slowest runners only should start at 6:00AM. You need to be in the 8:00AM group (outright racers) to be considered for a top 3 trophy. Wave 1: 6:00am – slowest runners only please – you will need a headtorch as sunrise is at 6:38AM. Please see important note for 6:00am runners below. Wave 2: 7:00am – this should be the choice for most. Wave 3: 8:00am – fast runners & outright racers. If in doubt, choose the 7:00am option. Important note for 6:00am runners: The aid stations and timing points will open at certain times, and if you are running too fast you will arrive before the point is open. For safety reasons you will not be able to proceed until it is open. As a general rule, if there is any chance you will run at faster than 9min/km pace (finishing the event in less than 8h42min), you should ensure that you choose the 7:00am start. Anyone who wishes to change from 6:00am distance to the 7:00am distance can do so for free by clicking here. Many thanks to our sponsors for their support and generous contributions to the random draw prize pool: Form Physiotherapy, Suunto, ioMerino, b3 massage & movement, Salomon, Groovy Gaitors and The Running Company. We’ve created a completely awesome event, so we decided to team up with our friends at ioMerino to create some official gear that was equally awesome. These aren’t your regular tops, Tees and neck tubes, these are made from premium, natural, thermal merino – more like high performance equipment than just clothes. 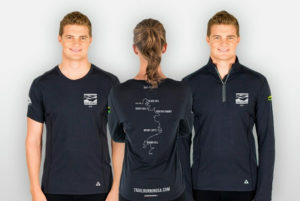 These are completely different to regular cotton or sports (“tech”) Tees, offering a level of performance that qualify as UTA compliant mandatory gear (long sleeve versions only). Click the button below to get yours now. ioMerino will print to order and orders will be shipped from 23 February. The guys from Salomon and Suunto will be at Belair with their demo fleets of Salomon trail running shoes and Suunto watches if you’d like to try them out on the 12 km course. Arrive early as it’s first in first served and they’ll set you up and give you all the information you need. Your age category is calculated according to your age as at 1st January 2018. Sunday 8th of April 2018: Get your entry in by midnight to guarantee your name will be printed on your bib. Thursday, 12th of April, 2018: Entries close at midday. There will be no race-day registrations. Please do not contact Trail Running SA requesting a cancellation or change until you have read the procedure for cancellations and changes here. We charge a $10 fee plus any price difference for changes or cancellations. We have produced a participant handbook for the 58 km runners with some additional information to help you prepare for the 58 km event. Click here to view the handbook. Arrow signs wherever you need to turn off. Course divergence signs where needed. If you stop seeing any signs, turn back. Do not carry on and get yourself even more lost. All runners are expected to carry a mobile phone. Medal presentations will be shortly after the arrival of the 3rd placed male & female runner in each event. The members’ random draw will be at 5PM to encourage people to stick around and welcome everyone home and enjoy the finish line atmosphere. The 12 km course will close at 4:30PM, giving a course closure pace of 14:00/km. The start location of the 58 km 5 Peaks Ultramarathon is at Foxfield Oval, Athelstone. Click here for directions in google maps. The start location of the 22 km Two Peaks Trail Run is at Cleland Wildlife Park. Click here for directions in google maps. The start location of the 12 km Belair NP Trail Run /Walk is at Main Oval, Belair National Park. Click here for directions in google maps. The finish location is at Main Oval, Belair National Park. Click here for directions in google maps. Purchase a ticket on the buses departing Belair National Park to take you to the start at Foxfield oval or Cleland. More information on this below. Coordinate with another participant by leaving cars at either end. Post a request in the Trail Running SA Lounge or in the Event on Facebook (trail runners are a friendly bunch so no doubt someone will live nearby and be happy to give you a lift). Bribe your partner, family member, friend, neighbour to be your driver for the day. There is plenty of parking at both Foxfield Oval and Belair National Park. Please make sure that you adhere to the street signs around Foxfield Oval. Participants and supporters will be able to access car parking in Belair National Park for free – simply mention that you are participating or supporting Five Peaks at the main gate to get into the park. Please do not park in the surrounding streets or business car parks otherwise we may upset residents/businesses and not be invited back next year. Bus transport will be provided from Belair NP to the Five Peaks Ultramarathon and Two Peaks Trail Run starts at Foxfield Oval and Cleland Conservation Park. The cost of the bus is $10 and a booking can be made by clicking the button below. The bus ticket is non-refundable. Bus bookings will remain open until bus departure time, unless sold out earlier. The gate to Belair will be unlocked super early but on the advice of the ranger, we’re encouraging people to fill the Belair Country Club carpark first. If that’s full head into the park. All parking around the Main Oval is reserved for committee and volunteers so head to any other marked car park. It’s a first in, first served situation in terms of proximity to Main Oval. Don’t park in areas that are not designated car parks. Bring your own bottle belt or hydration pack – there are no cups of water at the drink stations. There will be toilets at all 3 start locations as well as the finish location. Electronic timing bibs will not be mailed out and will be available for pickup at the event. Please allow sufficient time to pick up your bib with chip attached. You don’t need to lookup your bib number before the event, but if you want to, see here. We recommend arriving 30 minutes to 1 hour prior to the event start time in order to allow plenty of time to pick up your bib. You may need to park a few minutes walk from the start so please allow sufficient time to walk there. On event day go straight to the “ENTRY DETAILS” display boards. All entrants will be listed and sorted by surname. Find your name. Check that your entry details are still correct, especially the race and category you have entered. Remember your race number and start time as you will need it for the next step. If any of your entry details are wrong e.g. your name, category or gender, or you are changing races, proceed to the “REGISTRATION MANAGER” area. As there is also a possibility that it may rain, we recommend that any items that need to remain dry be placed in zip lock or dry bags. Additionally, any food contained in the bags should be sealed to prevent insects (i.e. ants) from getting in during the time they are at the checkpoints. All drop bags will be returned to the finish line once the checkpoints are closed. If any drop bags remain after the event is packed up they may be thrown away if they contain food that might go rotten. Please ensure that you pick up your drop bag at the event or arrange a friend to do this for you. The course is supported with basic hydration (no cups provided) and nutrition at every 10-15kms, and manned by our enthusiastic volunteers who will offer you as much encouragement as you need. There will be water, fruit, and Maurice’s delicious brownies at the race starts and finish.